TP-LINK may be the largest global manufacturer of WiFi networking products, but they aren’t resting on their laurels. 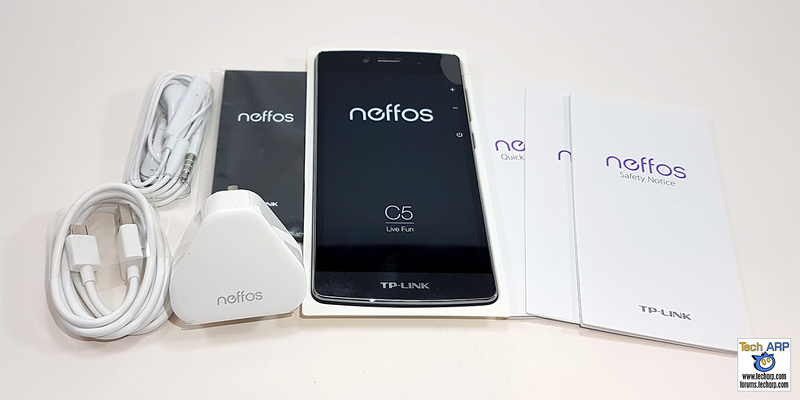 Instead of fighting for an even bigger share of the same pie, they decided to branch out into the smartphone market with the Neffos C5 and Neffos C5L smartphones in March of 2016. At that time, the Neffos C5 was considered to be quite a decent entry-level smartphone. Priced at just RM 539 / US$ 135, it offers quite a lot of features in a 5″ smartphone. Today, we are going to take a look at the TP-LINK Neffos C5 and see how it stacks up against the competition. But first, let’s compare the specifications of the Neffos C5 against the lower-end Neffos C5L. The TP-LINK Neffos C5 comes in a bright purple cardboard box typical of smartphones these days, with the key specifications listed at the bottom. Let’s take a look inside!